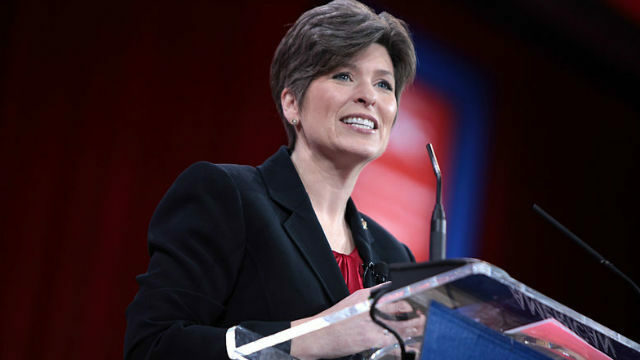 U.S. Small Business Administration Administrator Linda McMahon and Sen. Joni Ernst of Iowa are among the scheduled speakers Saturday at the California Republican Party convention at the Sheraton San Diego Hotel & Marina. A forum for candidates seeking statewide office will be held Saturday. Convention delegates will vote Sunday to endorse candidates. A breakfast Saturday will showcase “New voices of the California Republican Party,” including Morgan Murtaugh, a political commentator for One America News Network who is challenging Democratic Rep. Susan Davis in the 53rd Congressional District. McMahon is set to speak at a luncheon banquet. Her speech coincides with the final day of Small Business Week as proclaimed by President Donald Trump. In an op-ed written for Fox News.com, McMahon wrote, “Through cutting taxes, rolling back overly burdensome regulations, supporting workforce development and enhancing opportunities in rural America, this administration is showing that a thriving economy creates an even stronger America. Ernst is set to speak at a dinner banquet. On Tuesday, she was among 41 senators sending a letter to U.S. Department of Health and Human Services Secretary Alex Azar, urging the department restore Title X Family Planning regulations that bar grantees from co-locating with abortion clinics, or from promoting, counseling, or referring clients for abortions. “Section 1008 of the Public Health Service Act clearly states that no federal funds appropriated for Title X for family-planning services `shall be used in programs where abortion is a method of family planning,”‘ the senators wrote. The three-day convention concludes Sunday.